Alfa institute of mobile technology is one of the best technical institute for courses in mobile phone repair, laptop repair and computer repair. 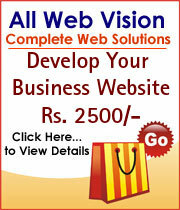 We Offer Computer Education like Basic Course, Internet, DTP, kids course, webdesigning, tally, hardware courses etc. Address: B-105, Hamirmal Complex, Opp. Sangeeta Complex, Station Road, Bhayandar West, Mumbai - 401101. We provide education and training for computer software and hardware related courses. Krishi Computer Education offers following types of computer education courses like Basic Course, Tally Course, Internet Awareness, DTP, Web Designing Course etc. TBS provides professional seo training with live project experience in Mumbai. If you are thinking to launch your career online then contact us. Address: 2nd floor, Amar House, Maratha Granth Sangrahalaya Marg, (Naigaum Cross Road), Mumbai - 14. We Offer Computer Education Courses like * Kids course * MS-Office 2007 * Tally 7.2/9.0 * D.T.P. * C / C++ etc. Address: G-2, Shop No. 1, Janta Housing Soc, Near Ambe Mata Mandir, Jesal Park, Bhayandar (E.) Thane : - 401 105. We Offer Computer Education like * Kids course * MS-Office 2007 * Tally 7.2/9.0 * D.T.P. * C / C++ etc. Address: G-2, Shop No. 1, Janta Housing Soc., Near Ambe Mata Mandir, Jesal Park, Bhayandar (E.) Thane : - 401 105. Training company with the mission to increase human potential efficiency through knowledge skill building and awareness. Address: 603,Mukund Ritu,Behind Marigold 1,Near RBK School,Kanakiya Beverly.